Wired magazine made its first presidential endorsement Thursday, backing Hillary Clinton in the name of optimism. "Wired has never made a practice of endorsing candidates for president of the United States. Through five election cycles we've written about politics and politicians and held them up against our ideals. But we've avoided telling you, our readers, who Wired viewed as the best choice," Editor in Chief Scott Dadich wrote. "Today we will. 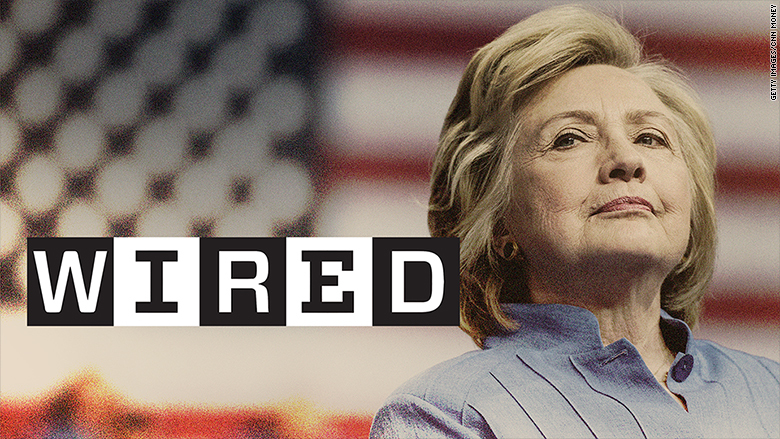 Wired sees only one person running for president who can do the job: Hillary Clinton." The San Francisco-based publication, founded in 1993, covers tech's impact on the economy, politics and culture. Clinton won Wired's praise for supporting net neutrality, pledging to strengthen the Affordable Care Act, and aiming to make immigration easier for people with STEM degrees. "Clinton also has ideas that clear away stumbling blocks for entrepreneurs and strivers. She proposes linking entrepreneurship to forgiveness of student loans, as a way to help young people start businesses," Dadich wrote. But Dadich was not without criticism for Clinton, writing that she can be too militaristic. He also questioned her commitment to privacy. "Her specific position on encryption is tough to pin down, but she seems to favor encryption weak enough for law enforcement to penetrate. That violates basic privacy." Wired founders Louis Rossetto, Jane Metcalfe and Kevin Kelly are known for their libertarian tendencies, particularly in their support of the early Internet's non-hierarchical nature, Dadich wrote. And yet, he noted that those "networks have become just as good at concentrating wealth and influence in the hands of a few people as the old hierarchies were." Still, Dadich stressed the power that technology has to change things for the better -- and that Clinton is the candidate committed to innovation. He cited her stance on climate change, renewable energy and DARPA funding. "She comes to every policy conversation steeped in its history and implications, and with opinions from a diverse set of viewpoints. She is a technician, and we like technicians." Dadich didn't mince words when it came to Donald Trump's ability to lead -- and his lack of understanding of basic science. "In [Trump's] 14 months as a political candidate, he has demonstrated an utter indifference to the truth and to reality itself. He appears to seek only his own validation from the most revanchist, xenophobic crowds in America. He is trolling, hard," Dadich wrote. Dadich acknowledged the fears of Trump supporters who feel they have been left out of the digital revolution. But he stressed the importance of investing in the future -- and leaders who do that without building a wall. 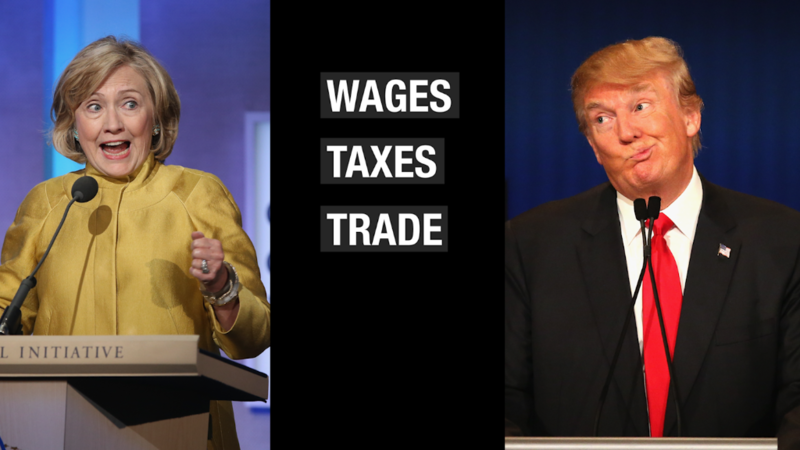 "[Clinton's] vision is bright and forward-looking; Donald Trump's is dark and atavistic," he wrote. "We happen to believe that [Clinton] ... is the only candidate who can assess the data, consult with the people who need to be heard, and make decisions that she can logically defend. Sure, she's calculating. She's tactical. There are worse things you can ask of a person with nuclear codes."